Forced to sit at the the bar because there were no other seat, my next stool neighbor chatted up with me and the barkeep. The barkeep was about to get married and they both had to downsize. The bar neighbor, Ron, made us promise to read this book. “It will change your life!” He was so passionate about it, I agreed and got on the waiting list at the library. I opened book tired and needing a nice break but it woke me from my self-imposed slump of material prison. For many years now, I’ve been complaining about never having enough time, I can never catch up with people’s demands. “Why are you wasting my life?” I often wanted to shout. 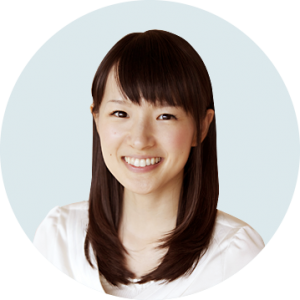 When I read that the author, Marie Kondo, was angry with her family members for not keeping the house clean, I knew how she felt. Then she realized things didn’t change because she still had things in her room to tidy away. OMG! Exactly why I am still spinning my wheels in my own mud. I was stuck because I blamed everyone and gave away my power to fix things. Marie advises us to visualize the end result before we even touch a thing. A flash of myself in a corner of my room jumped out at me and I am readding in a cozy sofa chair with my feet on a matching ottoman. And on the wall next to me has a large Zentangle drawing I did myself. Then I knew why I have to leave my house everyday. It’s not only because I don’t want any distraction when I write, it’s because I have no place to be by myself in my own house. My room is by no mean stuffed to the ninth but it’s still oppressive all the same. I don’t even have a place to just sit and day dream in my room and that is detrimental to a writer. I am so tired all the time because my things are sucking the life out of me. Why on Earth do I think I am a minimalist? I was kidding myself. No wonder I don’t have the energy to pursue my dream of writing novels. To avoid family members from “repurposing” things (i.e. into their slumps) I need to pile the clothes in my room when I sort them. I already know I have way too much to pile everything piece of clothing into my room and still have the room to sort them. So I’ll have to do this by the sub-category. Tops being most of what I own anyway, I am sure I will still be horrified by my pile. When I was recovering from a near breakdown last year, I found myself turning on the radio or TV then ignore it. One day I decide to keep my car radio off while I ran errand, my irritation went down, I became a better and more caring driver. I can’t wait to get started! I don’t remember the last time I wake up all excited about the day to come. May my inner spirit guide me well on this journey. 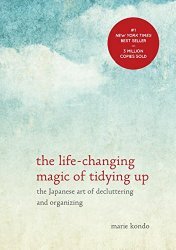 This entry was posted in Deepening Green, I Learned This, Musing, Tips for Daily Life and tagged KonMari method, Marie Kondo, review, testimonial, The Life-Changing Magic of Tidying Up by n2n. Bookmark the permalink.